Scores 22 Highway MPG and 15 City MPG! This Chevrolet Traverse boasts a Gas V6 3.6L/217 engine powering this Automatic transmission. WHEELS, 4 - 18" X 7.5" (45.7 CM X 19.1 CM) MACHINED ALUMINUM (STD), TRANSMISSION, 6-SPEED AUTOMATIC (STD), TIRES, P255/65R18 ALL-SEASON, BLACKWALL (STD). 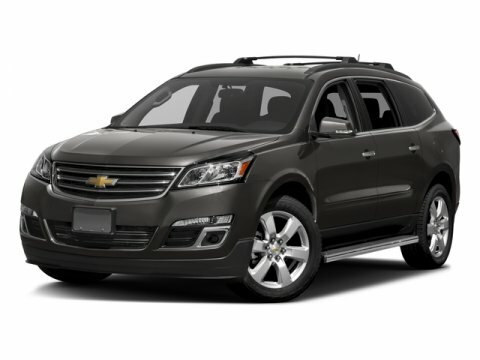 * This Chevrolet Traverse Features the Following Options *SEATS, HEATED DRIVER AND FRONT PASSENGER, SEATING, 7-PASSENGER (2-2-3 SEATING CONFIGURATION) with 2nd row flat-folding Captains Chair and third row 60/40 split flat folding bench seat, RECLINING FRONT BUCKETS (STD), MOSAIC BLACK METALLIC, LT PREFERRED EQUIPMENT GROUP includes Standard Equipment, LPO, ALL-WEATHER REAR CARGO MAT, ENGINE, 3.6L SIDI V6 (281 hp [210 kW] @ 6300 rpm, 266 lb-ft of torque @ 3400 rpm [359.1 N-m]) (STD), EBONY, PREMIUM CLOTH SEAT TRIM, AUDIO SYSTEM, COLOR TOUCH AM/FM/SIRIUSXM RADIO WITH CD PLAYER 6.5" diagonal touch-screen display (STD), Wipers, front intermittent with washers. * Stop By Today *Come in for a quick visit at Bleecker Buick GMC, 926 E 4Th Ave, Red Springs, NC 28377 to claim your Chevrolet Traverse!